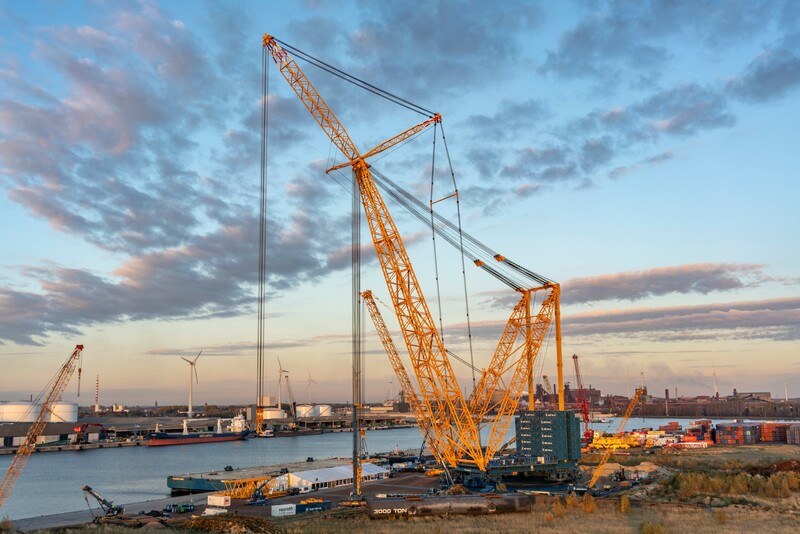 Sarens has launched the largest crane in the world, which includes the hydraulic system from Bosch Rexroth. The SGC-250 can lift 2,000 tons in a single movement over a distance of 100 meters, and our team is extremely proud to have contributed their hydraulic expertise to the project. The SGC-250 is the first of the 3rd generation of ring-based cranes at Sarens. It has a maximum load capacity of 250.000T, which enable it to lift an astonishing 5.000T. Even at a large radius of 100m, the crane is still capable of lifting 2.000T. This extremely impressive metric is achieved through the high number of wheel bogies on the double ring beams and the spreader mats that the machine features. The most unique feature of the SGC-250 is its ability to relocate, fully rigged on site, from one lifting position to another. 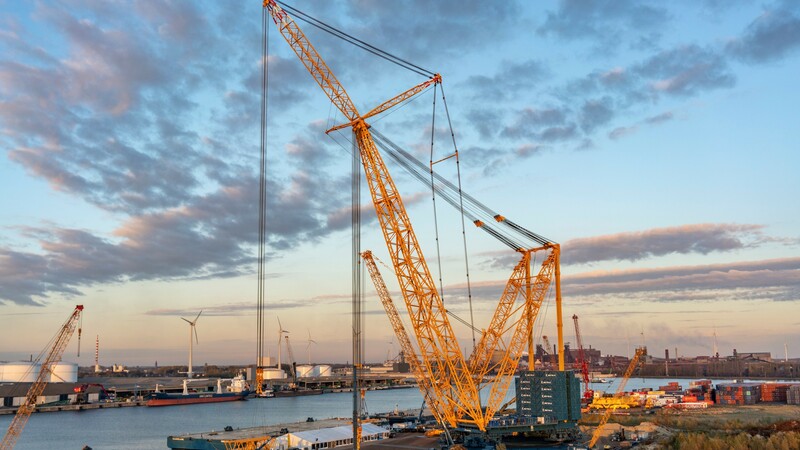 This is a characteristic that not only is new for the Sarens fleet of cranes, but also constitutes a breakthrough for the global crane industry. The crane has two sets of wheels: one for slewing 360° and one for travelling. The second set is hydraulically retractable and is pushed out whenever the crane needs to overhaul. Bosch Rexroth made a significant contribution to Sarens’ project including the complete drive and control concept. Sixty-four A2FM hydraulic motors are driven by four synchronized slewing drives. In spite of the gigantic dimensions, the slewing gear can be positioned precisely, down to a fraction of a degree. The ten secondary-controlled winches for the crane and the boom can even be positioned down to a millimeter. At the same time the hydraulic motors are synchronized via a secondary controlled drive system incorporating HNC100-SEK and XM22 motion controllers. Six containerized power units, each with two 280-kilowatt diesel engines and A4VSO axial piston pumps, supply the necessary hydraulic power. In total twenty-five of our Motion controllers are used to automate the different crane sections. Meanwhile our master VPB (HMI and PLC) controls and monitors all the movement and functionality of this giant crane. The SGC-250, named BIG Carl, will shortly move to its first project in the UK, playing a key role in supporting the construction of the Hinkley Point C nuclear power station – currently the UK’s largest and most complex civil engineering project. Hinkley Point C is a vital piece of infrastructure for the UK, supplying 7% of the country’s low carbon electricity whilst also creating some 25.000 employment opportunities throughout the construction phase. The main civil engineering works at Hinkley Point C are delivered by BYLOR – the joint venture of Bouygues Travaux Publics and Laing O’Rourke. The SGC-250 will help the Hinkley Point C team deliver increased efficiency by lifting and shifting the station’s heaviest pre-fabricated components.